Stay One Step Ahead of the Stock Market in 2019! 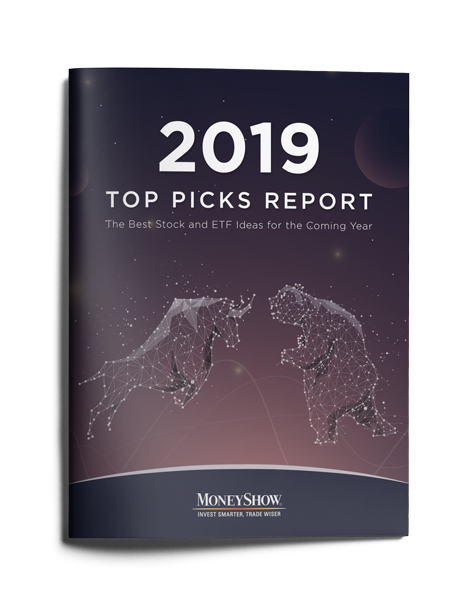 MoneyShow's 2019 Top Picks Report features 100+ investment ideas from the advisory industry's most trusted and respected experts known for their high-quality research and long-term track records of success. Get ahead of the market in 2019 and download our free 2019 Top Picks Report! By clicking submit, you consent to receive offers and promotions from MoneyShow and 3rd parties so they can send you information about their products or services. The link to your free report will be sent to the email address you enter above, as well as continuing updates through a complimentary free newsletter subscription Top Pros Top Picks. © 2019 MoneyShow. All Rights Reserved.